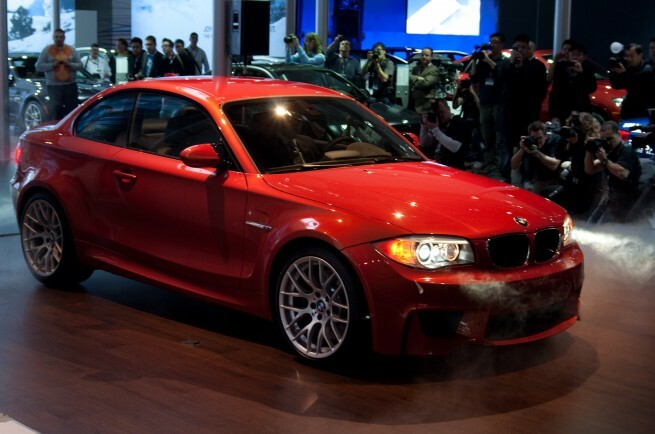 BMW’s 1M coupe made its Canadian debut at the 2011 Canadian International Auto Show held in Toronto, Ontario. Even while blanketed in black silk, the M division’s new sports car turned heads and sat ominously on the show floor. Of course, pulling back the silk only heightened the mood at the BMW display with intense valencia orange paint scalding your eyes as you follow the 1M’s muscular lines from hood to tail. BMW Canada announced pricing for the 1M earlier today and North of the great-wide boarder this M car will call for $53,600 MSRP (CAD). This is the least amount of money ever required for admission to the M brand experience – including the first E30 M3 if you factor-in inflation. With so many pure M parts including the suspension taken from the latest edition M3 ZHP competition package – this car is sure to please through the twisties. Please enjoy our exclusive photo gallery from the Canadian 1M launch earlier today in Toronto.